Easter is a popular Christian festival. Around the world, Christians celebrate Easter to remember Jesus resurrection. Majority of the people celebrating Easter carry out religious, and family traditions and customs they grow up with. That’s why, countries celebrating the Easter festival have different rituals that can really surprise you. 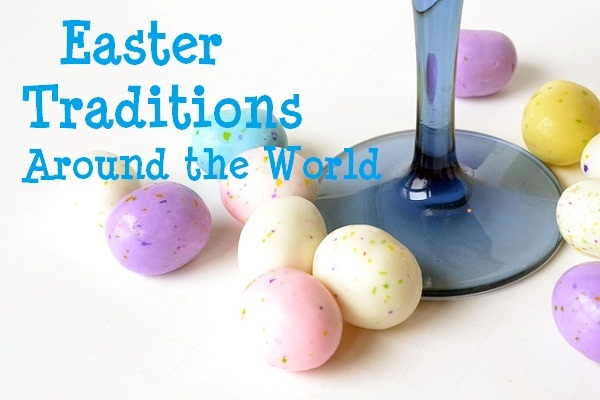 If you are wondering about how other countries celebrate Easter festival, read on as this article discusses Easter traditions around the world. Nearly all people because of fun and sometimes crazy traditions and customs anticipate holidays. In fact, Easter just like the Christmas season is highly celebrated. 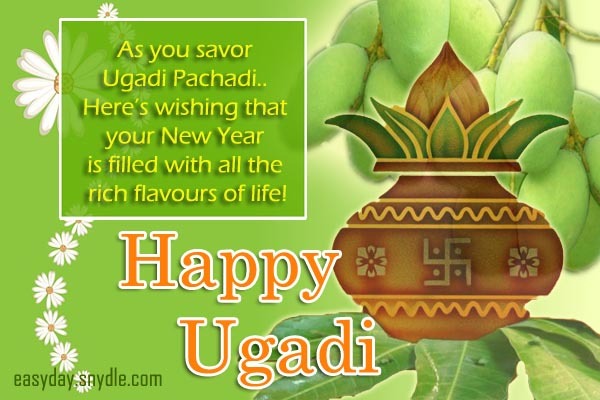 It is very popular holiday because of the traditions observed by the people. In United States, some of the popular Easter traditions are cooking and coloring eggs, giving baskets full of candy and dressing up as Easter bunny. A lot of families also host Easter egg hunt, egg painting activity or egg gift giving. There are also annual Easter parades in some parts of the country that is very popular for its mascot and crazy floats. It is also customary for Americans to attend church services to celebrate the resurrection on Easter Sunday. Families often throw parties that centered on a traditional egg hunts for the children. Easter is a big thing in America although it is not a federal holiday. Nonetheless, most of the stores closed in some parts of the country and stores that open usually closed early. Anyway, every country has its own Easter traditions and customs, lets us go through some of them. In Poland, people pour water on each other and this tradition is called “Smigus-dyngus.” They throw water on anyone that walks the street, even the young children run around with water guns and buckets of water. They do this because water symbolize rebirth or cleansing and to welcome changing of the season to spring. So, when you are in Poland during the holy week, expect your Easter Monday to be wet and cold. France is a country that really celebrates Easter with fun fare. You see, the French marked the festival by cooking a giant (about 4, 500 eggs) omelet. Of course, not all families cook giant omelets, but they do cook omelet and other delicious food that the entire family will enjoy eating. Other food served during Easter includes lamb dishes, fresh bread, soup and cross buns. French also celebrating the holiday by greeting neighbors boisterously and giving kisses and hugs even to those they only just meet. The French would greet with “Joyeuses Paques” as soon as the church bells ring out. For their feast, most French families would buy chocolates in the form of rabbits, eggs and of course fish. Although, there is no connection between Easter and fish, there are lots of chocolate fish during holiday. The fish chocolates would appear in stores on April 1, which is why they also called it April fish. Children in France are the ones that have the most adventure and fun. They play easter games like rolling eggs down a slope. A child who can roll an egg down the slope without breaking is the winner of the game. Tossing into air uncooked eggs are also very popular game of the holiday. Ukrainians during holy week abstain from all types of meat and byproducts. They practice self-denial during the Lenten season. In fact, some families do not even serve cheese, butter, milk, eggs, and fish. Ukrainians also do not permit working after Thursday so they can focus on religious services and preparation for the Easter celebration. On the morning of Easter, families attend church services bringing with them candle and baskets of foods that include paska (bread with religious symbols), pysanky (decorated eggs), Ukrainian babka (a tall loaf), shynka (ham), maslo (butter shaped into a lamb), koybasa (sausage), and other easter traditional food. After the Easter Sunday mass, people goes home bringing with them the lighted candles, and they placed the candle at the center of the table then they devoured the foods in the basket and at the table. There are enough foods to last until evening, and they left them on the table for people to eat since there is no more cooking done the entire day to give the women a chance to enjoy the festivity. In Spain, there are different Easter traditions observed. In places like Burgos, Zamora or Valladolid they celebrate by having a procession first before celebrating. On the south of Spain, particularly in Cordoba, the people hold a procession that memorialize the last day of Jesus Christ life on earth. They hold a procession that carries the statue of the Virgin Mary and Jesus on the back of believers. The procession includes a marching band, solemn music, and people dressed in traditional clothing. Throughout the streets where the procession passed there is an unnatural fog and weird odor as people burnt wax and incense as part of the ceremony. The Easter traditions in England are similar to the U.S and Australia. People also wear their Sunday best, finest hats and children wore bonnet. The English also attends Sunday mass or special services on Easter. In some parts of London, like Battersea Park there is a big celebration and grand Easter parade. Stores all over England also sell chocolate Easter eggs and other candies that symbolize the holiday. Many people also host egg hunt party and eggs painting for children at their home, even businesses have their own egg hunt activity to attract visitors to their stores. In UK, people play traditional games like rolling a hardboiled egg down a slope or against other people decorative eggs. By the way, almost all non-essential organizations and businesses closed for business in England. In Ireland, Easter is an important religious holiday in the Irish calendar. The people celebrate the holiday to commemorate the resurrection of Jesus Christ. So, they start the Easter preparation on the first day of the Lenten season or forty days before the big day. The Irish stop eating meat on day one of the lent, they would also give up their favorite alcohol, food, television, and cigarettes. During the lent, they would also eat fish that often cooked into soup every day. They do these traditions to reflect on what is the most important thing for them, also to perform self-discipline. For the Irish, the last week of the lent season is the most essential period, so there is no outdoor work on “Good Friday” as the day is a time to prepare the soul and body for Easter Sunday. Some people would attend mass and go to confession to ask for forgiveness while others go to the salon for nail trimming and hair cut. They would also buy new clothes to look their best when they attend the Easter mass. In Ireland, they do not eat eggs for 40 days as eggs only eaten on Easter Sunday. Some people would also take a vow of silence on Holy Saturday. The churches lights are also turned off at 11pm to observe another tradition, the presenting of new flame. On Easter Sunday, majority of families going to church together and would wore their best Sunday clothes. After the mass, they would go back to their home to enjoy a lavish spread usually consists of meat, vegetables, potatoes, bread, stuffing, and other Irish food. The Easter egg usually given to children only after dinner but only to the child that has faithfully observed their lent fast. In Hungary, traditionally young people throw cold water to girls of marrying age. Some boy would even dip girls in a stream. Today, instead of throwing a bucket of cold water, young people splash eau de cologne to all women, regardless of age and marital status. Unmarried women would wear beautiful clothes, and wait for their suitors or admirers, the more waterers or boys who splash cologne on them the better for the unmarried girls. The boy or a man who perform the Hungarian easter traditions would be given painted egg, alcoholic drink, and cookies. Hungarian believes that sprinkling cologne or water as well as giving eggs is good for fertility. The Easter eggs given to boys often decorated with ancient symbols, geometric shapes with flowers and plants. For the Easter feast, families made certain their table is laden with ham, loaf, eggs, grated horseradish, poppy seed cake and lamb dishes. However, In Hungary, it is necessary to serve a ham, without it, an Easter meal is incomplete. Hungarian traditions also dictate that there should be Easter loaf, a light bread baked into golden brown and formed into a circular braid. Hungarians have been baking such a loaf for six hundred years. Romanians start the Easter preparation at the start of the lent. They attend church services, and give up eating eggs, meat, and dairy products just like what Ukrainians do during the lent season. Majority of the people do not eat the usual food they eat to purify their soul and body for the holy week. The eggs symbolizing the rising of Jesus from the grave were also prepared ahead of time. The night before Easter Sunday, Romanians would go to church to attend the special mass and people would bring candles. The candles at the stroke of midnight lighted. The light also symbolizes Jesus return, so Romanians bring candles to church. After the special mass, Romanians goes home holding the lighted candle. And in the morning, they would wash their face with water that comes from a bowl that has a coin and red egg swimming. They believe washing their face with this water can make them beautiful and healthy, just like a well-decorated Easter egg. The typical Romanian Easter feast usually include red eggs, cheese, lamb, vegetables and a traditional cake called pasca, this is a cake filled with raisins, eggs and cheese. If you think the feast is the good part of Romania Easter celebration, you are wrong because the best part of the lent season is the three whole days of Easter celebration. Romanians definitely know how to party. Czech also has a fascinating Easter traditions just like other countries across the world that celebrate Easter holiday. In Czech, the girls decorate the eggs they will give to boys on Easter Monday. The boys, on the other hand, will douse the girl with cold water as part of their Easter traditions. The people also wear red clothes as the color symbolizes happiness, joy and health as well as new life. It is also part of the Czech Easter tradition to bake lamb for dinner. Germans Easter traditions are similar to other Christian countries. Children also play rolling eggs during the holiday. They also baked a special cake as a lent treat. The cake made of yeast dough and had creamy filling and shaped in the form of an animal, a lamb is very popular with kids. Another German custom they still observed today is the bonfire ritual. In Germany, people gather around bonfires on the eve of Easter Sunday. This tradition is an old pagan rite performs to protect the people from misfortune and sickness. The Italians celebrate easter by attending mass and preparing Easter meal consist of goat or lamb, bread, artichokes and the region specialty. But prior to the Sunday mass, Italians solemnly observe the lent season. Of course, there are religious procession in most towns on Good Friday and black Saturday. And Easter mass at all church, but the most popular is the mass conducted by the Pope. The Italians on Easter also give Colomba and Pannetone breads as gifts to friends or family member, these breads often come with a surprise inside. The next day, or easter Monday, they are free concerts, dances or games at some cities. They play an unusual game, often involving 4 kilos of cheese. It is fun a game as players roll the huge cheese around the village walls. After the cheese contest, people continue the celebration often with a concert and drinking of wine. Keep in mind, in Italy, people celebrate Easter with feasts and dancing the following day (Monday) as the holy week is observed more solemnly. Mexico is catholic country, so holy week is an important holiday in their calendar. They observe the lent tradition like the traditional procession of statues of Virgin Mary and Jesus. 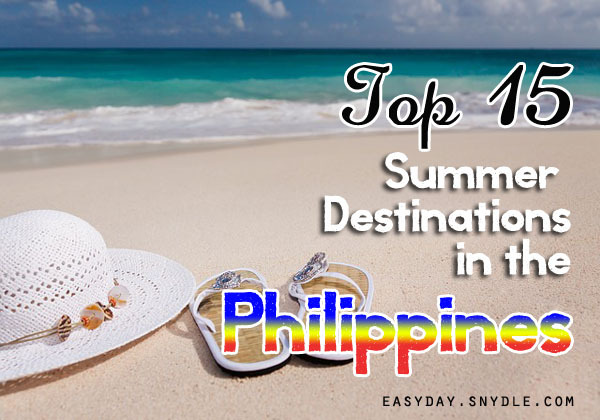 Come to think of it, Holy week, or semana santa is a period wherein there is lots of procession and plays take place across the country as this is the only tradition they observe on easter. In fact, there are no chocolate eggs and bunny on Easter Sunday. In Mexico, the people usually just attend mass and celebrate Easter holiday at their home quietly. Easter traditions vary according to the country, you live in. Some countries celebrate Easter with bunny and eggs others just quietly celebrate the resurrection of Jesus at their home like what Mexicans do. Whatever your country’s tradition, bear in mind the purpose of celebrating Easter to be truly blessed.